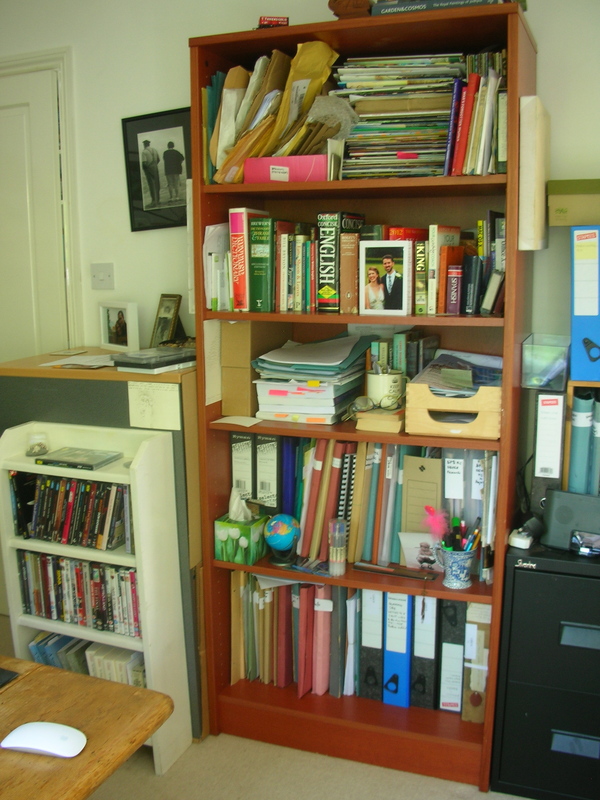 Since you asked, Pierre, it’s a bit of a challenge (and a mess), but here are some pictures. I do know how lucky I am. Most writers can only dream of their own space. This entry was posted in Writing notes and tagged writing room by hilarycustancegreen. Bookmark the permalink. 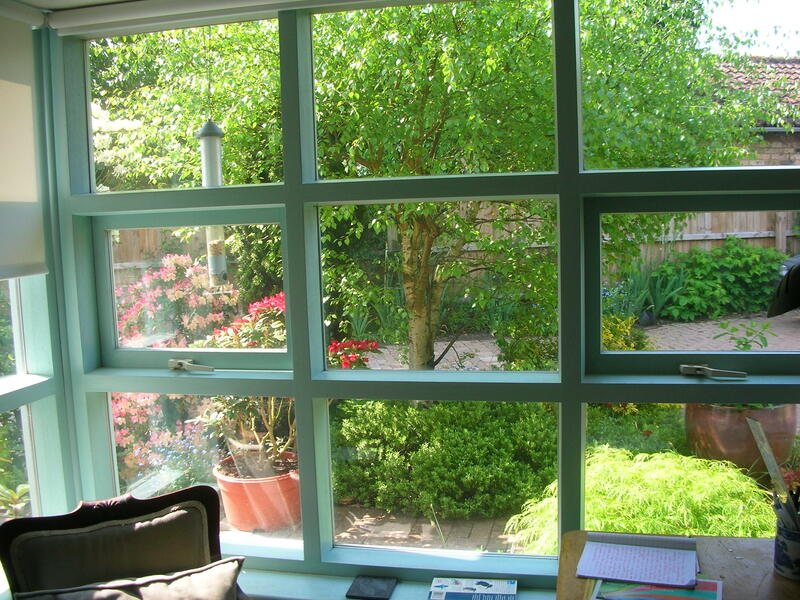 A piano and a garden view…How lovely! I like all the photos you have. 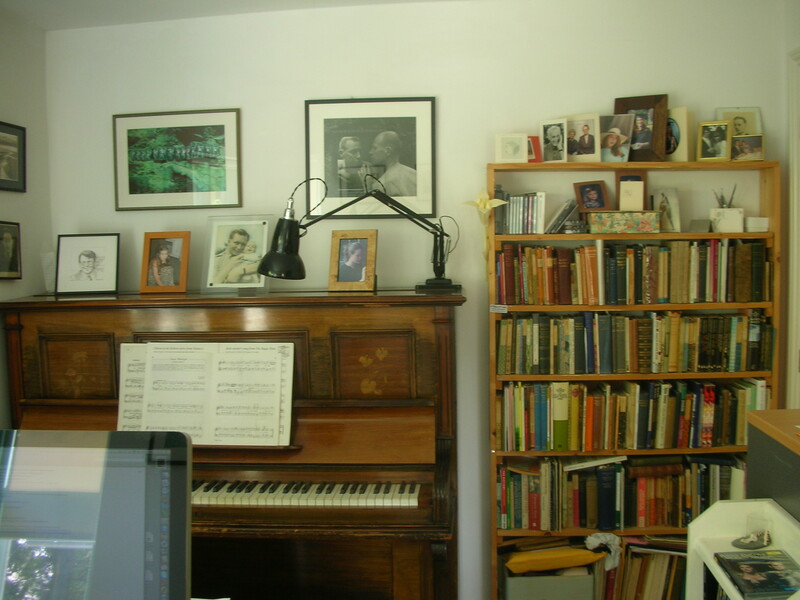 On the piano, the walls, the shelves…Looks like a very warm and cozy work space. 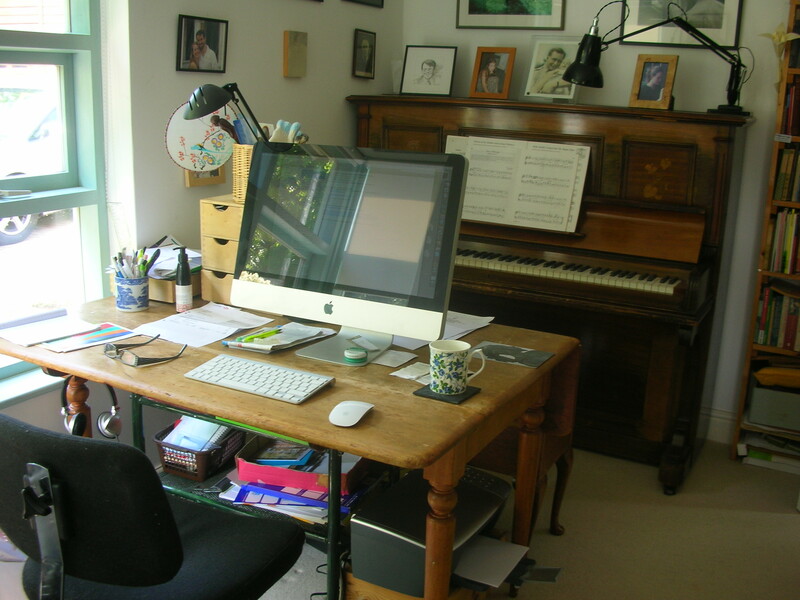 I am very lucky to have such a cosy work space, but I feel fraudulent about the piano. Last year I practised regularly in my effort to relearn, but this has fallen off completely. The photos are either of, or by, friends and relatives, so I have plenty of company.